Deserts cover 1/3 of the earth’s land surface area. There are four distinct types of deserts on earth. Subtropical deserts - very hot and dry in the summer and cooler but still dry in the winter. Coastal deserts - cool to warm areas with long, warm summers and cool winters. Semi-arid deserts - long, dry summers and cold winters with low rain or snowfall. Cold deserts - very dry and cold year-round Drone pilots from around the world have long been attracted to the barren beauty and mystery of deserts. DESERTS COVER 1/3 OF THE EARTH'S LAND SURFACE AREA. THERE ARE FOUR DISTINCT TYPES OF DESERTS ON EARTH. SUBTROPICAL DESERTS - VERY HOT AND DRY IN THE SUMMER AND COOLER BUT STILL DRY IN THE WINTER. COASTAL DESERTS - COOL TO WARM AREAS WITH LONG, WARM SUMMERS AND COOL WINTERS. SEMI-ARID DESERTS - LONG, DRY SUMMERS AND COLD WINTERS WITH LOW RAIN OR SNOWFALL. DRONE PILOTS FROM AROUND THE WORLD HAVE LONG BEEN ATTRACTED TO THE BARREN BEAUTY AND MYSTERY OF DESERTS. 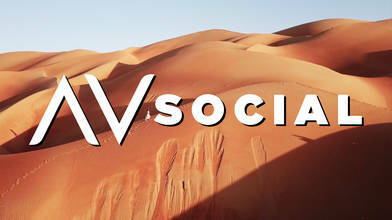 WANT TO SEE MORE AMAZING AERIAL FOOTAGE OF DESERTS FROM AROUND THE WORLD? CLICK THE LINK TO VIEW THE ENTIRE COLLECTION OF DRONE VIDEOS. Cain, Fraser. “What Percentage of the Earth's Land Surface Is Desert?” Universe Today, Universe Today, 24 Dec. 2015, www.universetoday.com/65639/what-percentage-of-the-earths-land-surface-is-desert/. Burton, James. “The 10 Largest Deserts in the World.” World Atlas, Worldatlas, 20 Jan. 2016, www.worldatlas.com/articles/10-largest-deserts-in-the-world.html. Beck, Kevin. “What Are the Four Main Types of Deserts?” Sciencing.com, Sciencing, 19 Oct. 2018, sciencing.com/four-main-types-deserts-5132173.html. “The Desert Biome.” University of California Museum of Paleontology, www.ucmp.berkeley.edu/exhibits/biomes/deserts.php. Wanza, Serah N. “What And Where Are Coastal Deserts?” World Atlas, Worldatlas, 25 May 2018, www.worldatlas.com/articles/what-and-where-are-coastal-deserts.html.